© Warwick Oakman Antiques, all rights reserved. 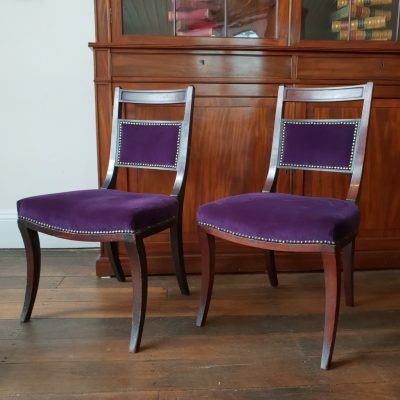 Pair of Regency saddle seat sabre leg chairs c 1810. 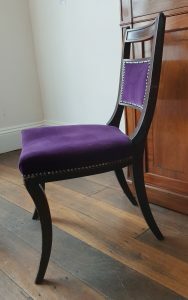 An elegant pair of English Regency period saddle seat, sabre leg chairs in best mahogany, the backs banded in ebony veneer. Terrific colour and patina.